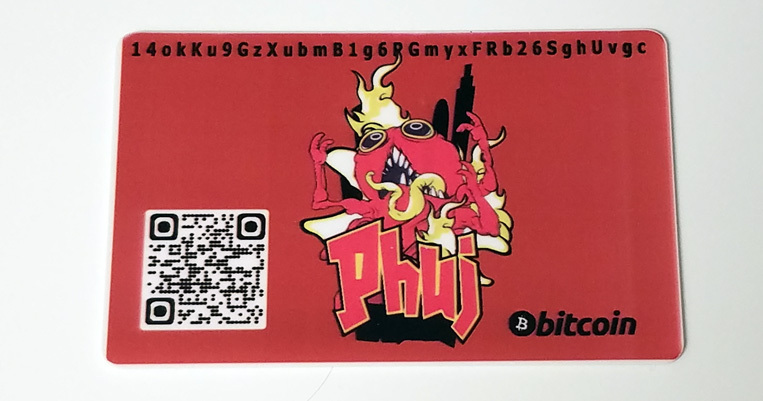 Card number 3 in the Phuj short run set of bitcoin wallet cards, the Pink Brain Monster with Yellow Smoke. 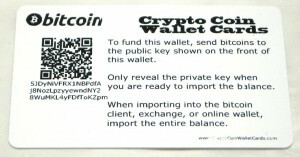 Wallet cards are a secure way to store coins. 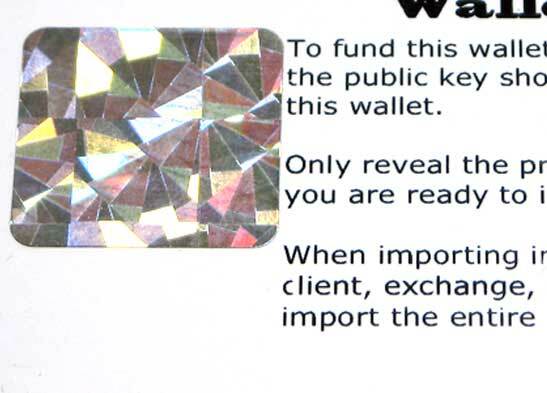 The plastic cards are water proof and more durable than paper wallets. 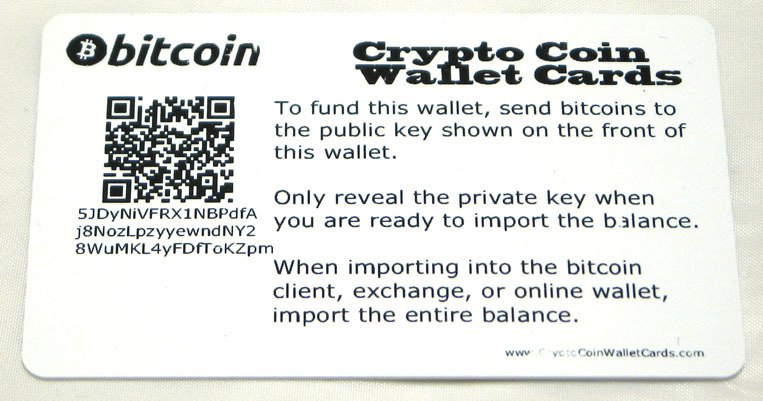 The wallet cards are made from photo-quality standard blank PVC cards. The white 100% PVC blank cards are vision inspected and printed with dye sublimation technology for full color printing then protected with a clear overlay, and thermal resin printing on the back for durability and easy scanning of the QR code. 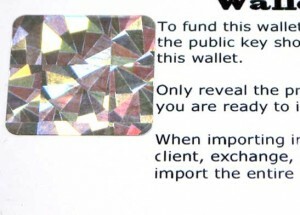 A holographic scratch off sticker conceals the private key QR code.